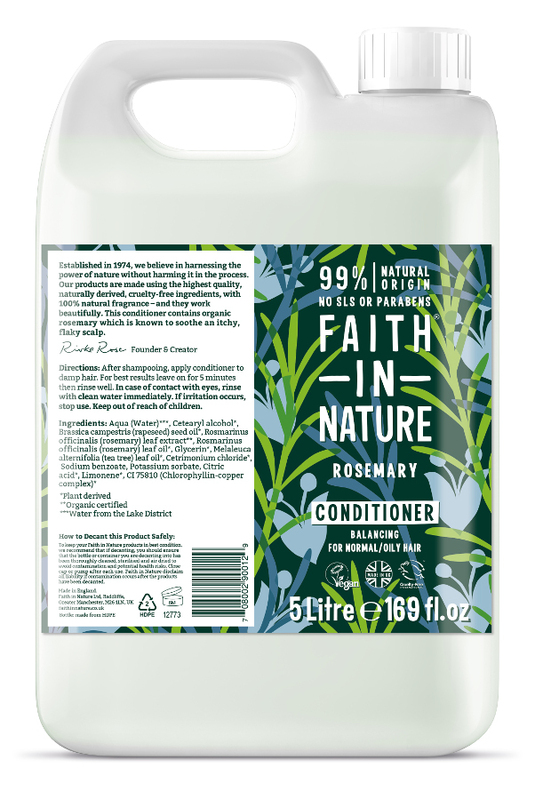 This delightfully scented Rosemary Conditioner from Faith in Nature contains rosemary oil which is purported to promote hair growth and depth of colour, is a good astringent and stimulates hair and scalp renewed activity due to these qualities. 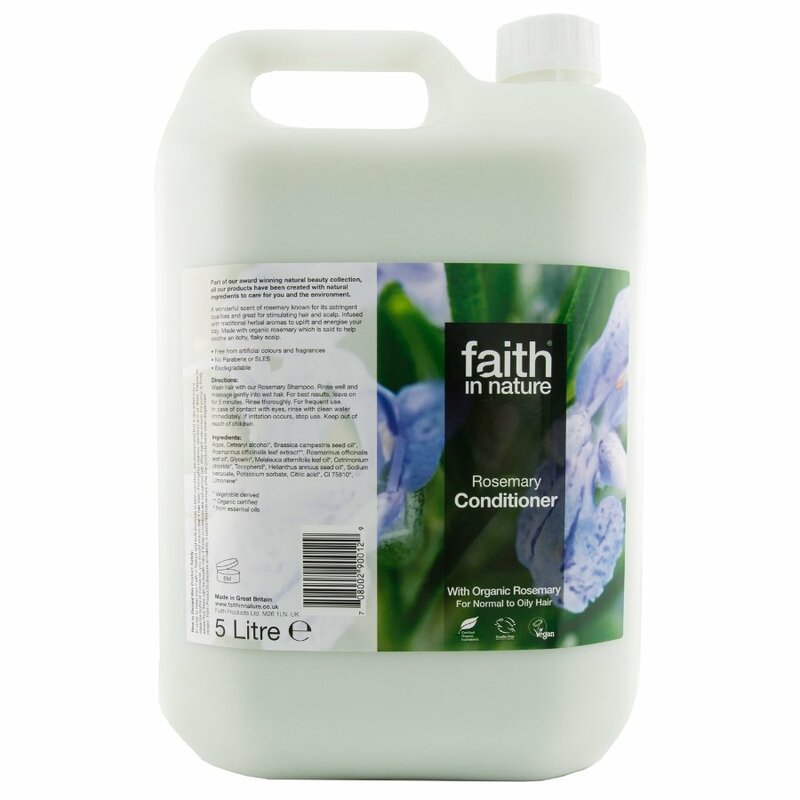 It balances oily hair and is particularly effective after a period of illness or convalescence, especially if it has brought on scurf or dandruff. 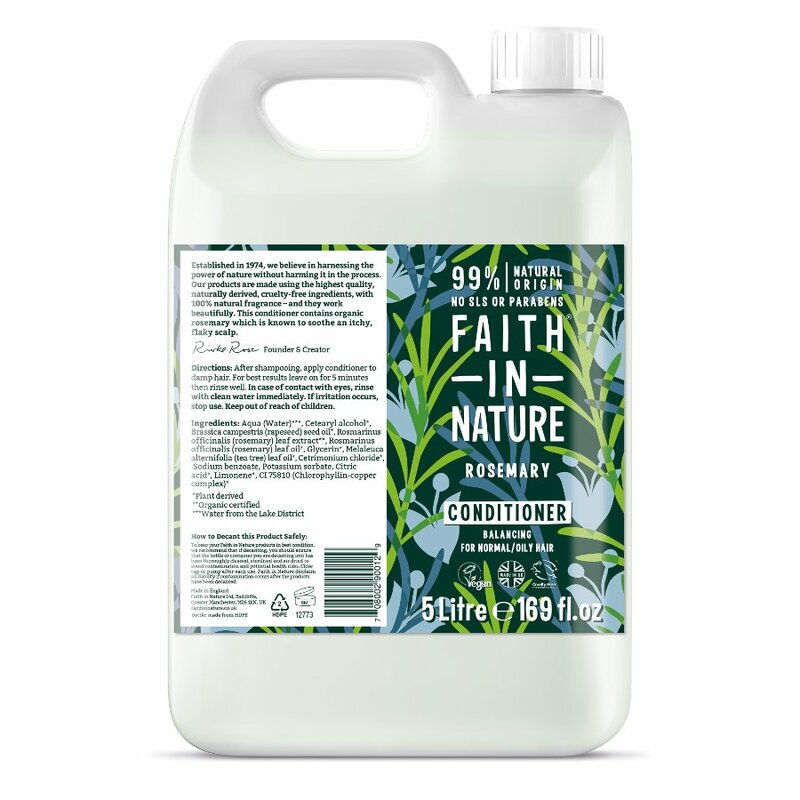 The Faith In Nature Rosemary Conditioner - 5L product ethics are indicated below. To learn more about these product ethics and to see related products, follow the links below. Lovely scent and texture, works well on my rather dry hair. 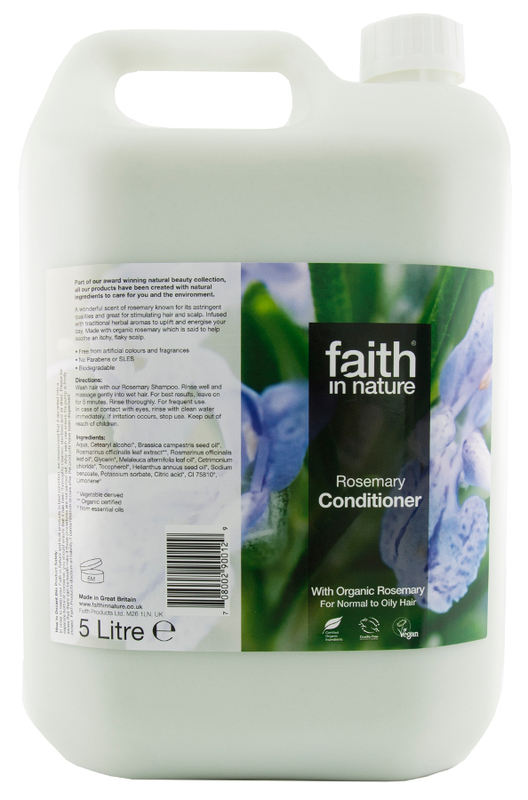 There are currently no questions to display about Faith In Nature Rosemary Conditioner - 5L.